Don't panic if this does not look like long list. 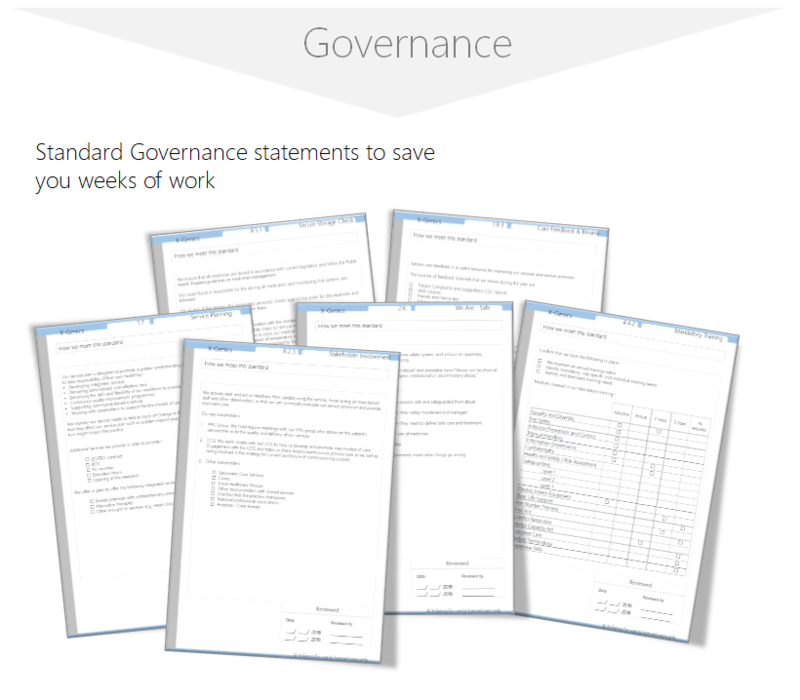 Each of these documents takes managers 1 to 2 hours to research and draft. That could be up to a week solid without any interruptions, if you can find the time. We have done all the ground work on best practice and compiled this for you. Once you have this bundle, we'll give you free telephone support to show you how to set everything up in just a couple of 1 hour sessions. 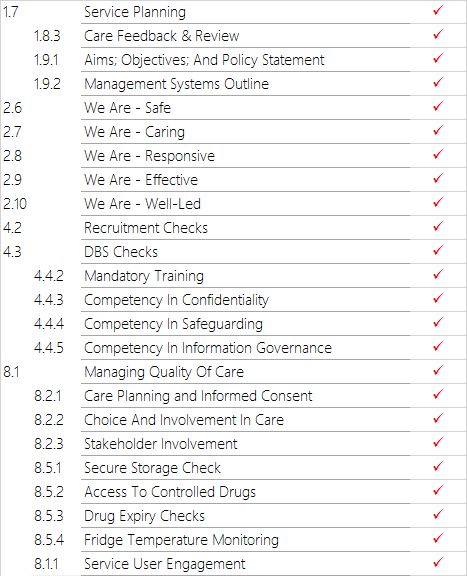 Most "Good" rated providers can be CQC inspection-prepared in just two sessions, and inspection-ready within a week. All you have to do is book the sessions with us.